Owning a home is usually the cause of pride, however it can also mean a lot of extra upkeep and maintenance needed compared to renting. There are several types of home maintenance we should be doing each year to ensure our home and contents remain in their best possible condition. However you would not be alone if you admitted many of these things were not high on your list of priorities… until something goes wrong. 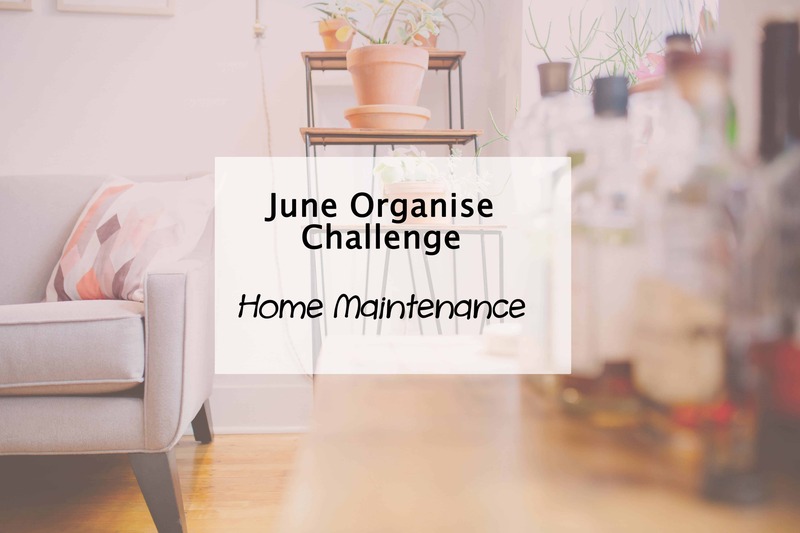 This month as part of our Simplify My Life organisation task we look at creating a home maintenance plan which will hopefully save not only time and money, but also a whole lot of stress in the long run, by helping us avoid those unexpected and unfortunate malfunctions and dramas. When you hear the words home maintenance, the first things that come to mind are likely to do with actual physical maintenance on your home, however it actually goes beyond all that. Yes it is great to give the home a bit of a makeover after a period of time, with the regular need for gardening and landscaping or the less frequent painting or remodelling, but home maintenance also covers all those smaller, yet important areas of the home too. Each year or so, sometimes less, sometimes more often, depending on the area of focus, we should aim to have our internal and external home maintenance conducted. This is something that can be difficult to keep track of, unless the service providers are sending you frequent reminders as they sometimes do. So setting up a schedule for your own records can help you stay on top of it. Now it’s time to get on top of all those tasks you have been putting off, or perhaps have not even thought about so you can potentially save yourself loads of money in the long run by keeping your home and garden well maintained and serviced. Pop over to the challenge page to find lots more useful printables and tasks to get your life simplifed and organised now. Are you on top of your household maintenance, or are you more of a when it’s broken, get it fixed type of person? What a fab idea!!! I’m a bit of a clean freak but I always have jobs (like cleaning the oven) that I just put off and put off! Love the sound of your challenge! Cleaning the oven always ends up being delayed far longer than intended in this house too. We got a new oven a few months ago and have yet to clean it despite the goal to be pro-active and keep it clean. Oops! Excellent tip Nikki. So true. I have the big ones added into our budget, estimating costs based on the previous year expense. Definitely a good one to add in. I hadn’t thought of that one as we don’t have an alarm, but the smoke alarms is one for all of us to keep on top of. We are lucky ours are wired into the house but with battery back up. They still remind us with annoying beeping when the time comes to change the battery. The automated stuff helps. Our yearly pest inspection is like that. Learned that one the hard way with termites about 5 years ago. Icky! An expensive lesson too. I might have to go back to January and work my way through the challenges. Some I have already sorted, so hopefully will catch up before the end of the month. Will keep you posted.